10 percent chance of rain? Mother Nature, “Hold my drink.” Boom, there goes your outdoor event! We plan, we worry, and we watch the forecast for weeks and days prior to the big event. Forecasting weather is a science, and yet, it’s the one thing you can’t control. We utilize satellite information, algorithms based on the data output, even historical referencing, and output data that mainstream society can understand, then we make plans. 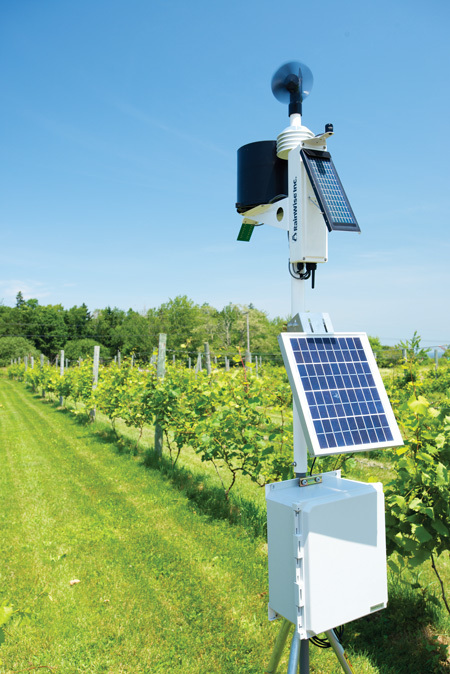 We use personal weather station data to provide a direct link between the weather station and software, which lets users record, process, and distribute data on a local or global scale. We pull up the images on our wireless device and smile (or frown). Finally, on the day of our outdoor event, we hope that the chance of rain is in our favor, or that “they” are just plain wrong in their forecast. Meteorologists use a variety of models to predict tomorrow's weather. A slight miscalculation and the entire forecast will either become incorrect or change dramatically. This butterfly effect makes the predictive model even more uncertain. Meteorologists use many tools for predicting weather. One such tool is persistence forecasting, which basically means that whatever the weather is doing today, it will continue to do tomorrow. Synoptic forecasting applies knowledge of atmospheric laws. Statistical forecasting factors in the records of past weather patterns. Computer forecasting calculates all the data to produce models of what the future may hold. Forecasters can show us images to tell us where the air is mild, where the cold fronts are located, and where it’s warm. They can even pinpoint stormy weather. Looking at images, along with variables such as wind speeds, directions, or pressure patterns, they can develop a forecast. This includes the direction a storm is heading, and if it might dissipate or grow stronger. Remember science class experiments, where you had to utilize dozens of dependent variables? What if there were no controlled variables? Take weather forecasting, for example. Our energy source is the sun. Other than rising and setting on a consistent schedule, however, it is an independent variable due to the Earth’s rotation. This spin causes differential heating, or consistently changing air pressure and temperature. Those fascinating clouds we all daydream to, that drift in different patterns and different concentrations of gases, affect our forecasting ability. Leaving the weather up to chance is very risky. Using a free weather app may provide you a forecast, but still leaves out critical data, such as the actual distance of the storm, or how long the storm is expected to affect your event. Thus, having access to precise, and even real-time weather information is critical to ensure that you know when to get people to shelter, and when it is all clear to resume your events activities (if at all). Outdoor events take lots of planning and effort. 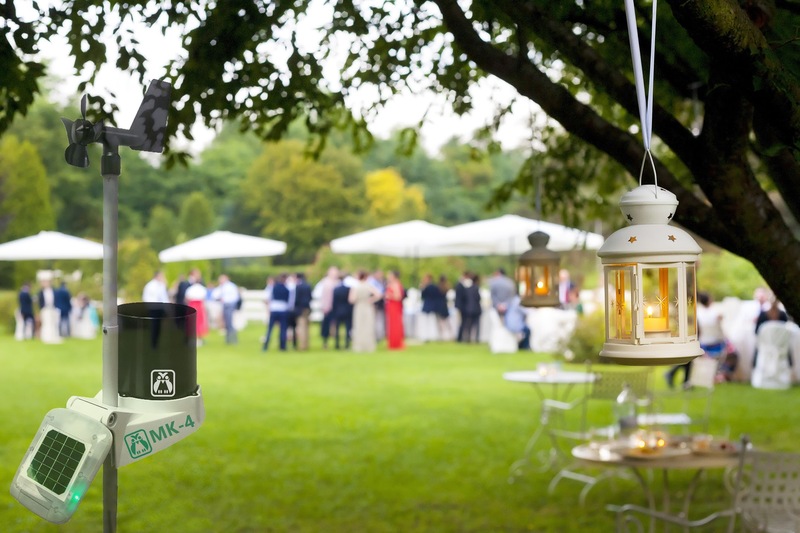 There is so much uncertainty; unfavorable weather can really impact an outdoor event. Many organizations offer real-time weather data for events; they use high-end weather computation software, online forecasting services, and precision weather instruments. Another option to consider is a personal weather system (PWS). A PWS is an easy-to-install, well-built, and sturdy system that can measure temperature, relative humidity, atmospheric pressure, wind speed and direction, and rainfall. Personal weather stations range in price, depending on the quality and accuracy of the equipment. An especially useful feature of a PWS is the receiver/console. You can also upload your weather data either directly to the Internet or to your personal computer, laptop, tablet or hand-held cellular device with a wi-fi connection. All of this information can be shared with weather networks such as the Weather Underground’s Personal Weather Station Network. Over 30,000 people contribute data to these networks. This useful information improves the accuracy and specificity of weather reports that are issued to the public and can help you with current and future outdoor event planning. Sure, short-term forecasting seems more accurate, but when they nail it months out; WOW! Professional Meteorologist and specialized, subscription-based weather organizations are great tools to have for your outdoor event planning. We have all heard the advice “if you want to know the weather just stick your head outside”. Give me a time machine and I will do just that. Until there is a tested, working-model time machine, help the meteorological society and you may consider a PWS. Next time, you can help someone forecast the weather for their outdoor event. Marc Inman is the VP of Marketing and Communications at RainWise, Inc, a Professional Weather Instruments designer and manufacturer based in Trenton, ME USA.